I travel to many exotic spots. But, one of my favorite places to visit with my family is Washington DC. The city’s image may be massive. But, D.C. is actually quite small which makes it easy to navigate. On a recent two night jaunt, I invited my niece and nephew for a pre-Labor Day slumber party at the Mandarin Oriental, a hotel perfectly situated near The Mall. 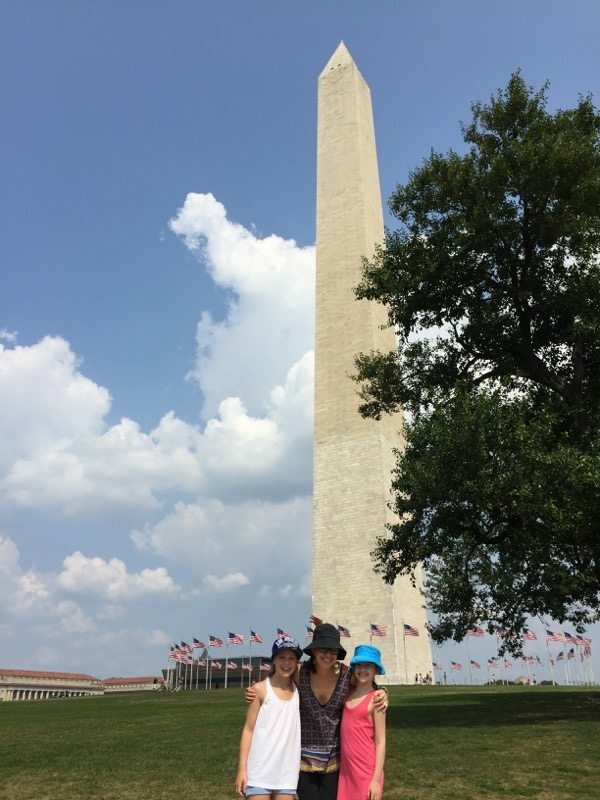 In forty-eight hours, we managed to visit the Martin Luther King Memorial, Washington Monument, The Newseum, Smithsonian Museum of Natural History and Smithsonian National Museum of American History. It was a culture-filled whirlwind. Since its not under the Smithsonian umbrella, many don’t know about The Newseum. It’s an institution devoted to how news is gathered and disseminated. Here’s why kids love it: There are interactive exhibits where kids can be a part of a newscast, 4D films that showcase innovators in news history and pieces of history (The Berlin Wall, the battered telecommunication equipment from the twin towers destroyed in 9/11) that demonstrate the news gathering process is to freedom. In today’s era of “fake news,” learning about fact checking and how news is manifested has never been more important. Washington DC is home to 17 free museums under the Smithsonian umbrella. In one hour at the Natural History Museum you can take in a tarantula feeding, handle a hissing cockroach, have butterflies land on your head and see dinosaur bones. Five minutes away, the museum of American History has a fabulous exhibit on American Innovators. We learned about DJs, pacemakers and computers. Upstairs are Dorothy’s ruby red skippers and the Star Spangled Banner exhibit. Then, head downstairs for the ride simulators. We did a 3D dolphin experience. The Mall’s many monuments and memorials are both fun and an opportunity to download critical intel on civil rights, history and the meaning of patriotism. The National Zoo is a must see. Situated in the middle of the city, the Giant Pandas, flying orangutans, reptiles and elephants are a delight to behold for kids and parents alike. Ford’s Theatre is thrilling. The perfectly preserved museum is the actual site where John Wilkes Booth shot President Abraham Lincoln in 1865. Visitors can see newspaper clippings, photographs and the actual (wee) gun used in the assassination. Blow up descriptions and images depict the events leading up to the shooting in child friendly verbage. Across the street at Petersen House you can see the actual room where the 16th President died.